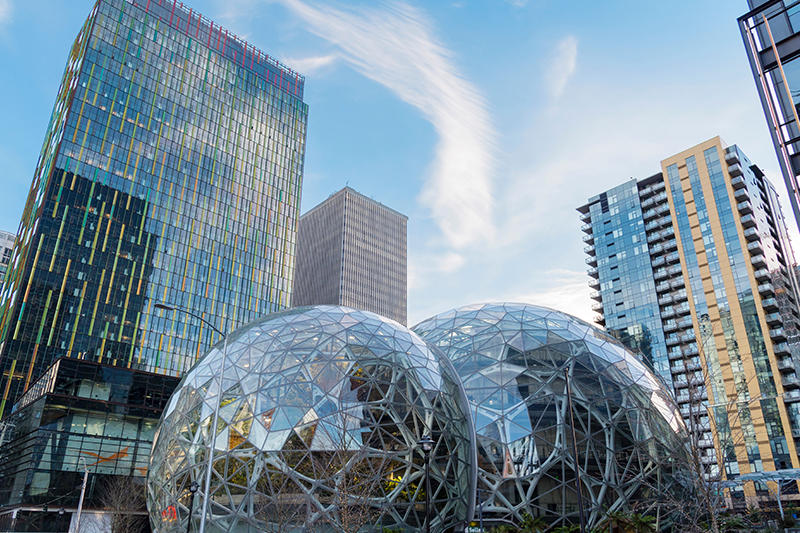 Although Toronto may have lost out to not one, two locations in their bid for Amazons' second headquarters the Canadian city may be doing better without the retailing giant. Toronto initially put in a bid for the second headquarters known as HQ2, but they lost out to two cities, New York and Virginia. The initial pitch for Amazons’ HQ2 promised to bring as many as 50,000 jobs to wherever they picked. In reality, the jobs will be split into two. Each hub will get 25,000 jobs, with an additional 5,000 jobs in Nashville, Tenn. However, some in Toronto's tech space have voiced their worry over Amazon coming to the city, comparing it to a big fish in a small pond. They believed the presence of Amazon would have swallowed up most of the talent in the pool. Toronto is steadily growing its reputation as a tech hub. It is thriving off investments in financial technology and artificial intelligence, an ecosystem that supports start-ups, and a strong university research community. According to CBRE, a commercial real estate, and investment firm, Toronto has been the fastest growing tech market in North America for two years in a row.The city added 28,900 tech jobs last year, a 13.6% increase from the year before. However, there is yet to be a Canadian-born Amazon equivalent. The arrival of a global giant like Amazon would have probably squashed Toronto’s ecosystem instead of helping it to grow, said Lacavera. Lacavera also founded his startup, WIND Mobile in Toronto, before selling it for $1.3 billion US. “Canada needs to build its global winners and end the branch plant economy once and for all,” Lacavera said. Still, Toronto did highlight the reasons why it put in a bid to become the home for Amazon’s HQ2. It would have promoted Toronto's reliable, affordable, and diverse talent, its competitive corporate tax rates, quality of life, and their universal healthcare. Healthcare is a significant concern to Amazon. In January, they teamed up with JP Morgan and Berkshire Hathaway to create a way to bring down the healthcare costs of their employees. Health care wasn't the only thing Toronto had to offer though. The organizers also highlighted what Toronto had to offer by bringing different benefits from different locations in and around the region. Toronto’s pitch also had the backing of neighboring cities such as Hamilton, the two hubs of Kitchener-Waterloo, and several others, showing off the abundance of high-skilled workers. These workers would have been hired for far less than what American workers would have demanded. There was one thing Toronto didn’t do, and that was to try to woo the company with Tax incentives. Even though Amazon is worth more than a $1 trillion US, some cities tried to lure the company with tax breaks as the bids heated up.